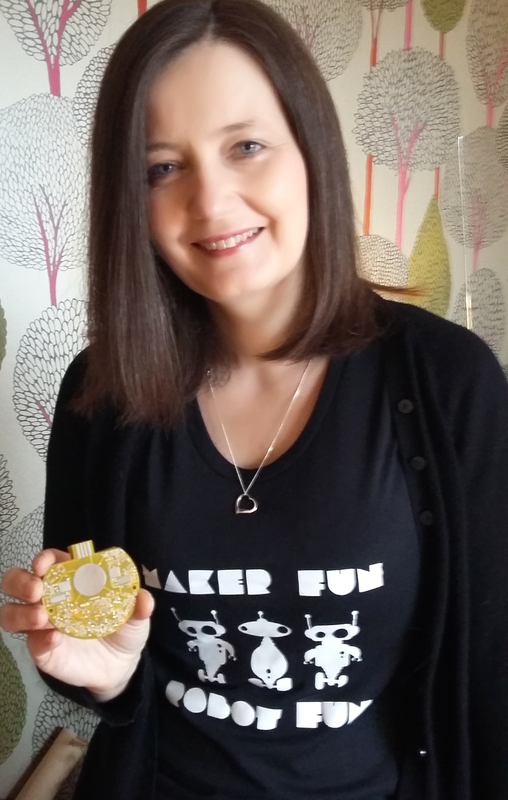 Here is a first look at my new yellow Maker Fun Aerobot boards and a glimpse of my hot off the press (literally) Robot Fun T-shirt made at Fab Lab Manchester yesterday! We did it! We captured the moment our Painted Ladies emerged from their chrysalides using our Butterfly Pi. There really is a Pi and Pi cam buried in that awesome Lego housing! It was a lovely sunny day when we released the butterflies and we couldn't believe what happened next. Our Painted Ladies crept up onto the girls fingers for a little help with their great escape. They were in no hurry to leave and we were all fascinated by the chance to observe them before they finally flew away. A few weeks ago the kids got a butterfly hatching kit from their favourite aunt. Can you guess what our caterpillars got up to last night? As you can see caterpillar number three became a chrysalis! Now we have three chrysalides and a crazy, hungry caterpillar still throwing shapes into the night. How did this happen? The caterpillar hangs in a 'j' shape and sheds their exoskeleton for one last time before hardening into a chrysalis. We hope to capture the birth of our butterflies in a week or so time. We hooked up our pi with pi-camera and attached an eye- glass to shorten the focal length of the pi-camera. We used a cold light to light up the scene into the night.Check out our lego housing. We can change the height of the camera using the gears!We modified an existing time-lapse program. For inspiration and to discover other great projects see: Raspberry Pi foundation. The fun is endless when you create dragon snot and slime! Step 2: Make your dragon snot. We are going to put our recipes online soon so that you can share them with your friends. Sign up to our newsletter and you will be among the first to find out. We will be back in Marple in June, don't stop making! I set up Maker Fun to get kids inventing, designing and making cool stuff for fun! We use crafting activities as a starting point for digital making. We also explore creative starting points for coding and progamming activities. This year, work took over and I'm having a micro:bit adventure!